Recently NYCFG attended a press-only event in New Jersey that included not only testing out my very limited cake decorating talents, but also a chance to go to Carlo's Bakery and meet with Buddy himself. Why the special event? As it happens, there is a new Cake Boss brand of bakeware and baking accessories that arrived on shelves just in time for the holidays. Designed in collaboration with Buddy Valastro, star of TLC’s hit TV series "Cake Boss", each of the more than 200 “Buddy approved” baking items allows anyone, at any age or skill level to tap into their inner pastry chef and successfully create cakes like “the Boss.” I mean, I actually tried my hand at it and it didn't turn out too bad (P.S. that is an actual photo of my cake!)! Disclaimer: I did not BAKE the cake, the bakery provided everyone with pre-made cakes. 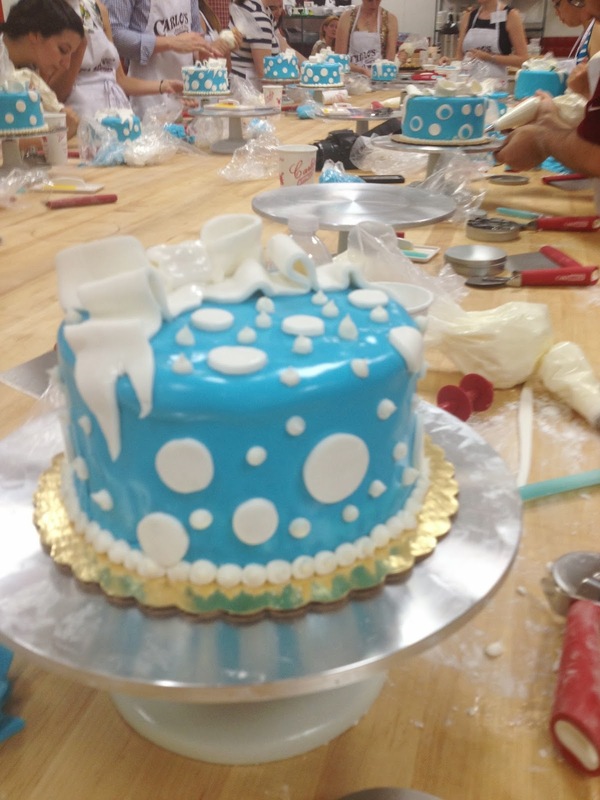 Unlike any other line of baking products, Cake Boss gives home bakers the confidence to step out of their comfort zone and create intricate desserts that look like they came straight from Carlo’s Bakery. In my case, it DID come from Carlo's - but the decorating part was 92% me. For more information on Cake Boss branded bakeware and baking accessories, visit http://www.cakebossbaking.com or check out his fan page on http://www.facebook.com/CakeBossBaking, and @CakeBossBaking on Twitter.